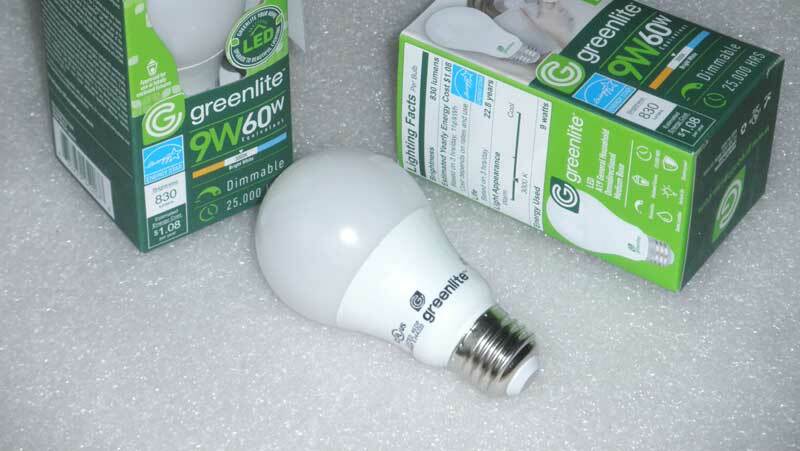 Cheap LED bulb. What is inside? LED lamp from Dollar Store. Teardown and schematic diagram. In life, I have to parse different electronic devices and use them for other purposes. At this time I needed a powerful white LEDs for underwater flashlight, and better source than an inexpensive 120 Volts lamp, I have not found. Led's "donor" in the picture below. Top parts of the lamp are glued together, so open it without destroying - very hard. Under the hood an aluminum heat sink with 12 LEDs connected in series. We can assume that power capacity of each one is less than 0.75 W (9W / 12V = 0.75 W). The total voltage across the group of 12 LEDs is 36 Volts, DC. Converter (from 120V AC to 36V DC) is simple and interesting. And the bottom side of the board with CMD components. Since the number of components is limited and each properly labeled, the drawing of schematic diagramm does not take a lot of time. When a voltage is applied, the current through the resistor R7, pre-opens transistor Q1. Additional voltage across the primary winding of transformer T1, even more opens the transistor. When the voltage on the primary winding exceeds ~ 7 Volts, transistor Q2 opens, and it closes transistor Q1. The voltage at the collector of Q1 (secondary T1) starts to increase (due to stored energy in the core of transformer T1). Upon reaching 36V open diode D4 and all stored power discharged into the LEDs. When the current through the transformer ceases, the cycle repeats again. Delay circuit, resistors R3-R5 and capacitor C4 allows you to delay moment of turning off the transistor Q1 to set the output power to the desired level. In addition to simplicity, in schematic it is interesting that the current through the LEDs flows two times per cycle. inaccuracies, but the idea does not suffer. A simple calculations and a simple test remains. 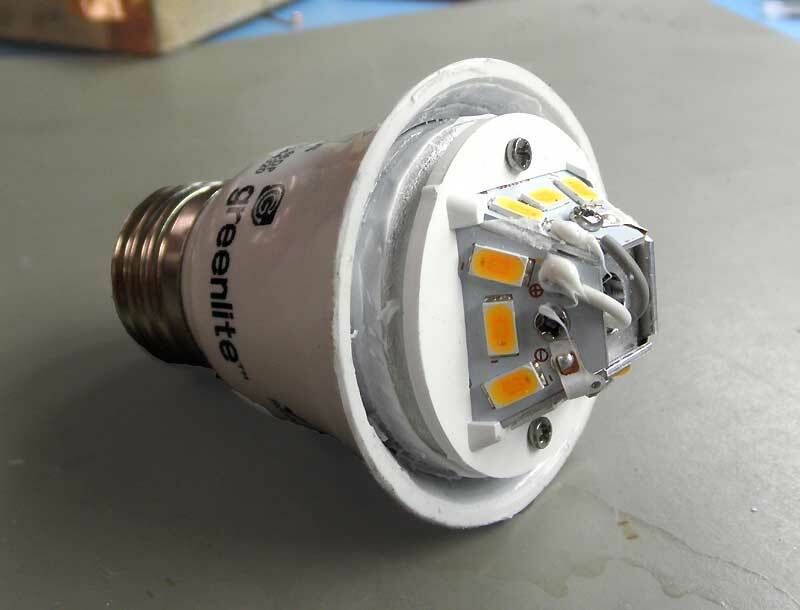 12 LEDs, along 830 lumens or 70 lumens per LED. 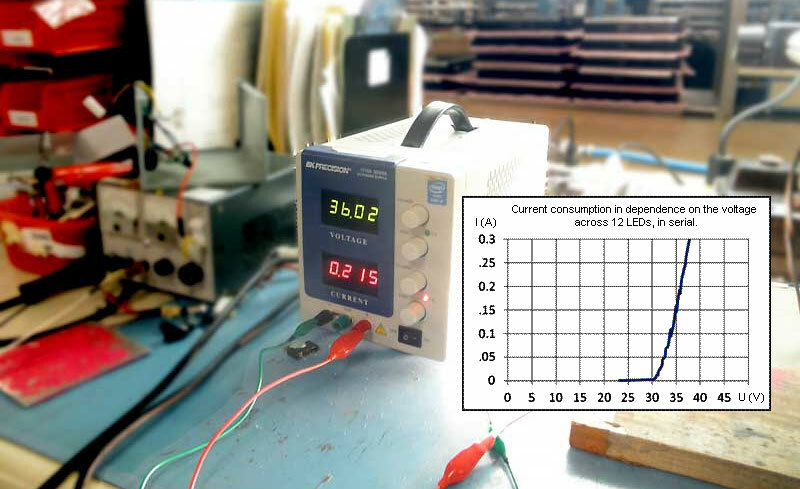 It remains to check the power consumption at different voltages. At 36V DC it consumes about 200 mA, which changes slightly depending on the temperature. Here's the plan. LEDs with heat sinks, two of such lamps, moving into the light for underwater photography. Agree, it is very tempting to make an underwater flashlight that can supply up to 1600 Lum, almost for free. Now that the innards of led lamps we understood, another question arises: why do I need underwater light? Everything is simple. Because to photograph underwater without additional lighting - it is a very, very difficult. For illustration, two photo from a depth of 10 meters. Perhaps with a new light, my underwater pictures will turn out much better.